Early on in reading it, In the Language of Miracles reminded me of last year’s notable read from Celeste Ng, Everything I Never Told You. In both books, there’s an element of surprise when a secret about one of the children is revealed. While Everything I Never Told You is upfront about the family’s secret, Ng carefully peels back the layers, exploring how and why they find themselves in the situation they’re in and how they are moving on from it. 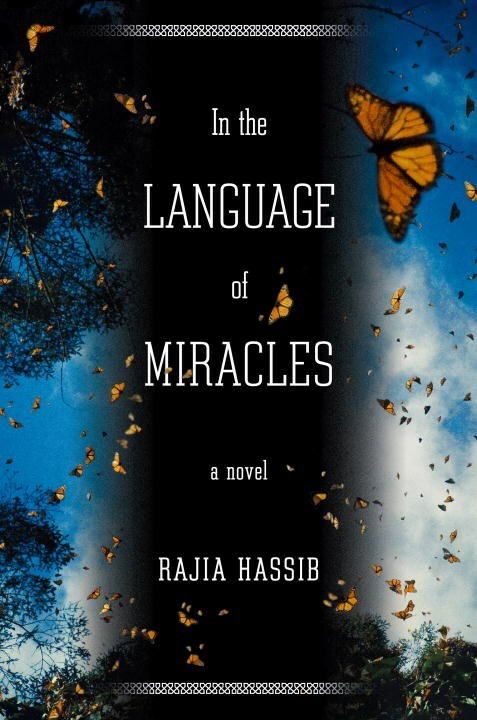 Rajia Hassib’s In the Language of Miracles takes its time in revealing just what the family is so hesitant to speak about and, sadly, by the time readers find out, they’ve almost lost interest. Initially, though, In the Language draws readers in with its story of the young immigrants from Egypt. When they first arrive, Samir and Nagla Al-Menshawy are a young couple. Samir has brought his family to the metropolitan New York area while he completes his residency. The growing family soon moves to an idyll town in New Jersey, where Samir sets up his medical practice and the family establishes roots. Making fast friends with their neighbors next door, Samir and Nagla are indeed living the American Dream. We fast forward and the Al-Menshawys are estranged from their neighbors. In fact, they have become pariahs in their town. Eventually we find out why, but readers are still left in the dark about so many things. The author could have, and probably should have, spent more time focusing on the eldest son, Hosaam, since he is the center of how the family is perceived. Instead, that time is devoted to middle son, Khaled and his relationships with his parents, sister and friends. I’m guessing that Hassib wanted to focus on the aftermath and how a family goes about picking up the pieces after such an incident, but as the reader, there was so much more that I wanted to know and was never told. On the flip side, there was so much I didn’t need or want to know, but was given. Although there were interesting aspects to the overall story, I’m not sure that this is a book or author that I would return to again.